This season’s photography sales in New York, coinciding with the 38th edition of The Photography Show at Pier 94, did not succeed in capturing buyers’ imaginations, with several valuable lots falling flat and the handful of artist records mostly confined to the lower end. Provenance and rarity remain at the forefront of collectors’ minds, says Laura Paterson, the head of photographs of Bonhams New York: “When something is very exceptional, we get quite good traction; this season it seems people were quite happy to look at a work and get the experience of a photograph, but less happy to pay for things”. Bonhams realised $561,000 (all results with fees), slightly up from a year ago, in its photographs sale on 6 April, but only sold around half of the 100 lots. The top lot of the sale was Irving Penn’s Girl Behind Bottle (1949, edition 29/33), which made $125,000 (est $120,000-$180,000). However, Penn’s famed Cuzco Children, Peru (1948) (est $200,000-$300,000) marked by the artist as an exceptional edition, failed to find a buyer; in 2008, Christie’s New York sold a print for $529,000—which, Paterson says, “says a lot about the current market”. The same day at Christie’s, two live photographs sales made a combined $5.1m. 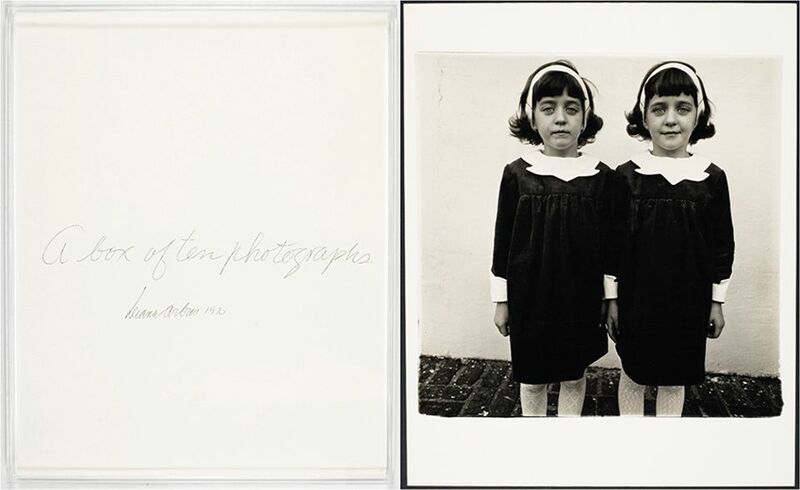 Of the 45 lots offered in the popular afternoon sale of works from the Yamakawa collection of post-war and contemporary photographs, which saw a sell-through rate of 95%, the star was a portfolio of ten prints (1923-1971, edition 25/50) by Diane Arbus that was compiled shortly before her death, which made $792,500 (est $500,000-$700,000)—a new auction record for the artist. The sale saw two additional records for US photographers Lewis Baltz and John Pfahl. Enthusiasm waned a bit that evening, when of 172 lots offered in the various-owners sale, 68% sold. 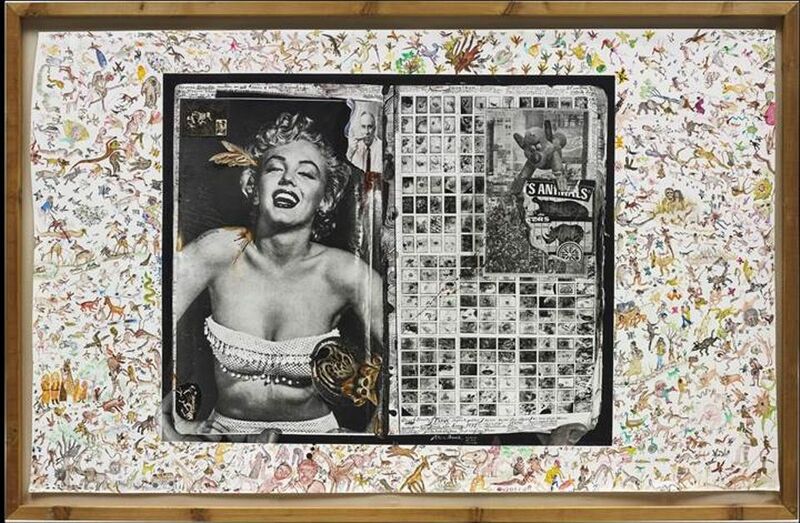 The casualties included Peter Beard’s Lioness and Birds (1984) (est $200,000-$300,000). Leading this session was Richard Avedon’s Harper’s Bazaar commission Dovima with Elephants, Evening Dress by Dior, Cirque d'Hiver, Paris (1955), which realised $456,500 (est $300,000-$500,000). Darius Himes, the international head of Christie’s photographs department, says that collectors clamour for “material that seems particularly fresh or that is a true masterpiece” but that “there is still significant room for growth [in the category] as a marketplace”. On the mood of the evening sale, Himes says, “We had 120 bidders registered online, and, if all those clients were in the room, you would have a very robust crowd”. The auction house also held an online sale of photographs (3-11 April) by Walker Evans from the collection of the Museum of Modern Art, which raised $236,375 for the museum’s acquisitions fund. Phillips realised $5m in its 9 April sale, which included a subsection devoted to the collection of Dr. Saul Unter, with 80% of 233 lots sold. Most works sold squarely within or below estimate; one exception was Irving Penn’s Two Women in Black with Bread, Morocco (1971, edition 20/21), which made $52,000 (est $25,000-$35,000). Several fashion images, such as two photographs Penn shot of supermodel Gisele Bündchen in New York in 1999, offered in the $40,000-$90,000 range, did not find buyers; nor did another potential highlight, Andreas Gursky’s monolithic EM, Arena, Amsterdam I (2000) a chromogenic print face-mounted to Plexiglas (est $350,000-$450,000). The sale’s leading work was Peter Beard’s Heart Attack City (1972)—a large-scale collage made of ink, blood, feathers, watercolour drawings and amalgamated photographs—which sold to an absentee bidder for $603,000 (est $500,000-$700,000). Sotheby’s held two photographs sales on 10 April, totalling a combined $5.1m, and achieving four artist records for David Gamble, David Yarrow, JoAnn Verburg and William Henry Fox Talbot, whose 24-part The Pencil of Nature (1844-46) led the various-owners session, making $275,000 (est $150,000-$250,000). The collection of haircolour tycoon Leland Hirsch netted $2m, with all but 8 of the 51 lots sold, topped by another Avedon print of Dovima with Elephants ($375,000). “There was a healthy demand across the full spectrum and history of the medium, with bidding activity from Asia to South America”, says Emily Bierman, the auction house’s head of photographs. Echoing her counterparts’ emphasis on rarities as the drivers of the current market, she points to Alfred Stieglitz’s experimental Equivalent 227 (1933), from the collection of Jean Stein, which soared to $150,000 (est $40,000-$60,000): “It had everything you could ask for—it is one of only two known prints of the image, still in its original frame, was personally inscribed on the reverse by the photographer and came from the collection of American artist Arthur Dove”.